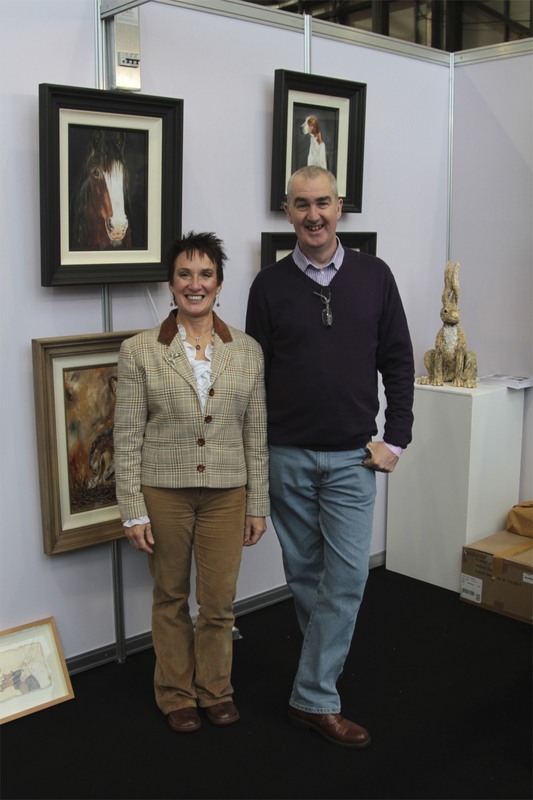 I have just returned home from showing my work at the Equus Live Show at Punchestown, Co. Kildare. I really enjoyed it as it was the first horse event I have done so far. This was the first year that the event was staged and was a great success I thought. 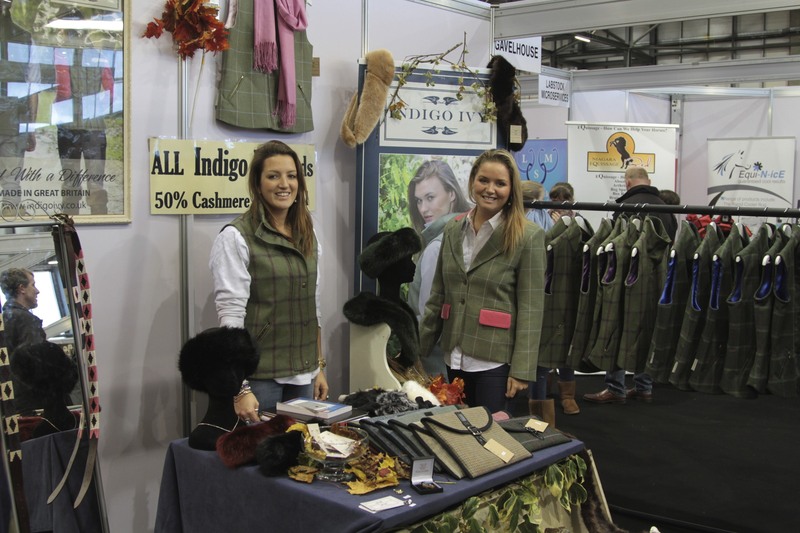 The eventing was fantastic and the shopping was varied and of top quality. I met some new customers and had plenty of chats with bird and animal lovers alike. One of the many facets of showing my works around the country that I really enjoy is meeting fellow exhibitors and it was no different at this show. Across the way from me were Tess and Julia Cooke from “Indigo Ivy”. Tess founded the company and they produce the most fantastic tweeds for ladies and gents . It is great to see that the tweeds are made in the north. I also met Michael and Audrey Smyth from “Smythart”. They are both great artists. Michael was selling his oil paintings at the show and Audrey was selling her animal ceramics . It was interesting speaking to them about art in general during the lulls in action! 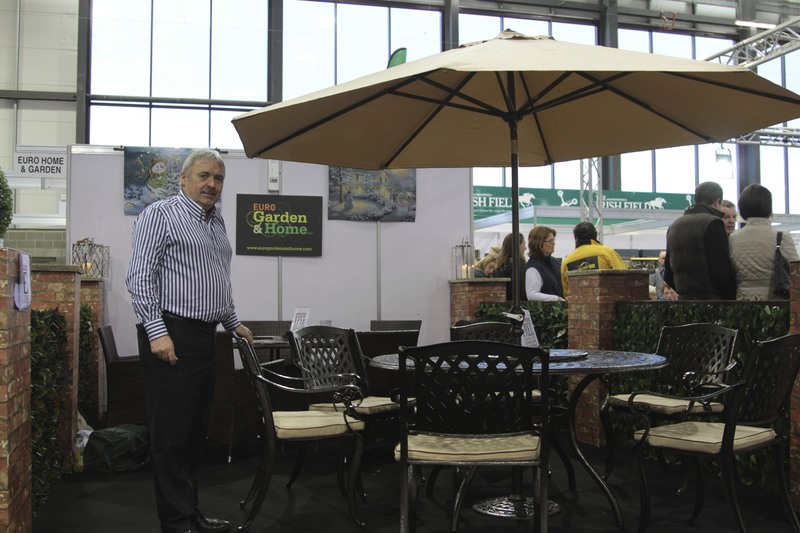 My next door neighbour was Brian from “Euro Garden and Home” who was selling garden furniture. He has been in retail for 30 years and had good advice for me with marketing ideas. 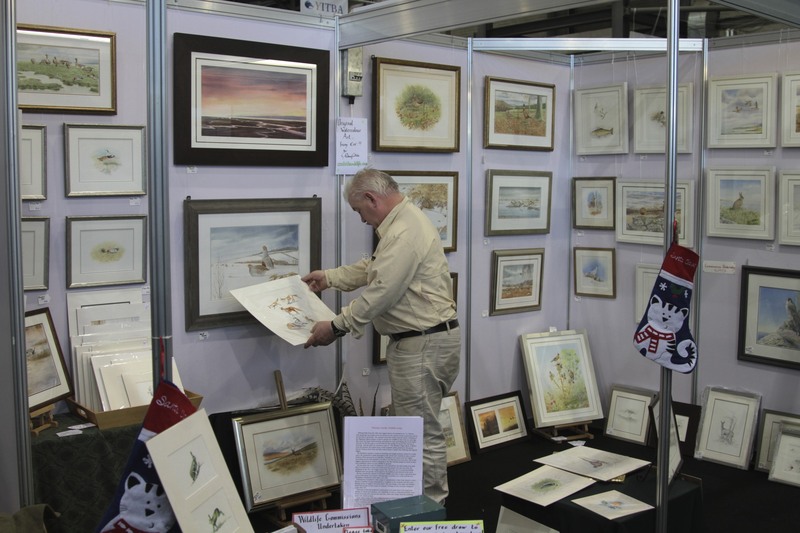 I am exhibiting my paintings at the Galway Fly Fair next weekend. I will have a busy week painting fish! It is in the Galway Bay Hotel. Might see you there. Looks like a great show, Padraig! Hope it went well for you. Good luck with the next – we would come and see you if we were closer!